Four vacant lots owned by Louisville Metro Government will be transformed into two Russell neighborhood amenities! This vacant lot will be become a community outdoor kitchen and gathering area. 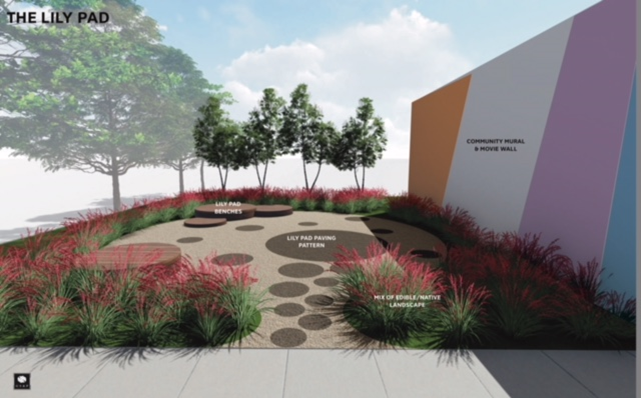 The space will allow for shaded seating, community cook outs and even outdoor cooking classes! Because this narrow lot is positioned in between two privately-owned lots, Louisville Metro Housing Authority and Louisville Metro Government staff decided landbank this lot for future use. The overgrowth of trees was cleared from the lot during the summer of 2017 and continues to be maintained by Louisville Metro Government. Louisville Grows and Canaan Community Development Corporation will be partnering to create “Opportunity Corner” on these two vacant lots found at the 18th and Magazine Street intersection. 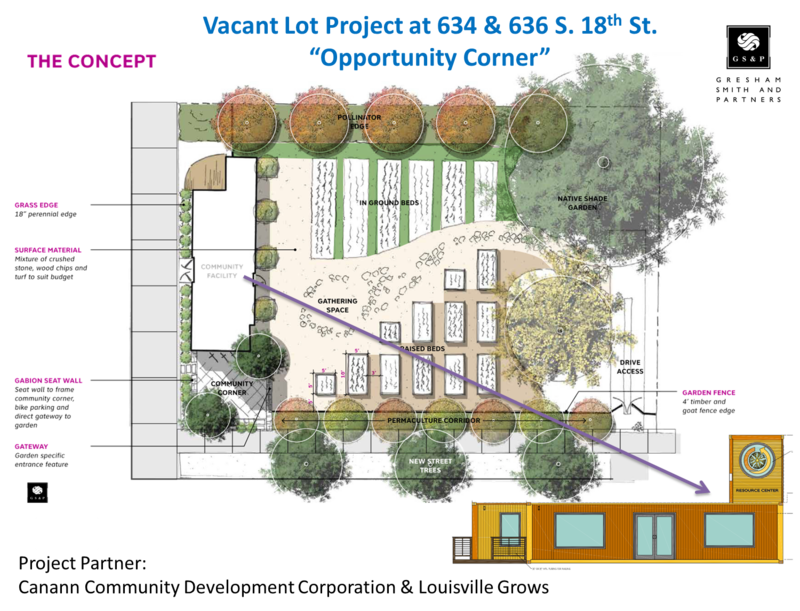 Opportunity Corner will feature shipping containers that will be finished to function as pop-up office and retail space. Louisville Grows will be planting trees along with edible landscaping and raised garden beds to create a peaceful environment to visit.